rejected by the passport or visa office. photographers. They will show your photo on the camera and get your approval before printing out. To get your US passport application, please Click Here. We not only provide US passport photo service but all other countries as well. for our customers for the past twenty years. We know the exactly passport photo requirements of each country. photos for. We will provide the photos that guarantees to meet requirements. mistakes that could cause delay in your visa application process. services is due to our 99% acceptance rate over the past twenty years. Our passport photo price is very competitive: two photos only $9.99, four photos $11.99. * Color photo with size 2” x 2”. * Frame subject with full face, front view and eyes open. * Photo presents full head from top of hair to bottom of chin. * Center head within the photo. * Photo subject against a plain white or off-white background. on the face or background. 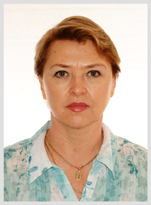 * The size of the Russian Passport Photo is 35mm x 45mm. 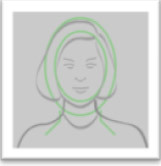 * Head must occupy 25-30mm 60 - 80% of the passport photo. * The background of the photo must be white. * Photo must be taken within a month. * Photo must be taken within six month. * Two(2) identical photos with size 33mm x 48mm. * The background of the photo must be white or light-coloured. * The photo must be no shadows. top of the photo should be between 3 mm to 5 mm. please check on China government web site. We are the official Canadian passport photo agent in New York area. * Two(2) identical photos with size 50mm x 70mm. be between 31 mm(1¼ in.) and 36 mm (17/16 in.). covers approximately 25% of the photo. * Either black and white or colour photos are acceptable. * The photos must be originals and not taken from an existing photo. check on Canada government web site.